There are not many amongst us who would know what leptons or quarks are, let alone being able to differentiate them! For those who have something to do with physics, particularly particle physics, they may be able to recognise what we refer to as leptons or quarks. As research goes on in various disciples, aided by the latest technology and unbelievable software assistance, everyday something new is discovered or invented. Same is the case with physics; scientists or physicists to be precise keep on discovering new phenomenon, processes as well as particles. One such physics related topic that has attracted a lot of attention in recent times, is the study of smaller and yet smaller particles. Scientists try to get to the base of something; if something exists then what makes it? What is it composed of? This leads to smaller and even smaller particles being discovered. However, there is a limit to tracing down the roots of any particular particle; there comes a point where the most basic particle has been discovered which are the units of almost all structures; and they are leptons and quarks. The two are the fundamental particles of any structure but do have some considerable differences. Leptons include particles such as muons and electrons. Altogether, there are 6 leptons and each of these leptons have their unique anti-lepton counterpart. For each of the muon, electron and taon (three different types of leptons), a corresponding neutrino (another lepton type) is associated with it. Leptons normally do not participate in any strong interaction and are not even seen to be present in the nucleus. As for Quarks, there are also 6 of them which are grouped to make 3 pairs (namely top and bottom, up and down and charmed and strange). Most of you may have heard the words protons and neutrons which are collectively known as hadrons. Quarks are the fundamental units of protons, neutrons as well as other particles that were previously considered to be the most basic fundamental particles. What is peculiar about the quarks is the fact that the magnitude of their charge is just a fraction of the charge of an electron. As opposed to leptons, quarks are found in the nucleus and can take part in interactions. The difference of charge is an important one; leptons which are sometimes groups into two groups namely leptons and lepton-neutrino have charges of -1 and 0 respectively. Quarks however have charges that are either -1/3(for down, bottom and strange), or +2/3 (for top, charm and up). In short, leptons have integer charges whereas quarks have fractional charges. Moving on, leptons can exist freely but quarks cannot. Due to a fundamental force which is known as the ‘strong force’, a quark will never exist freely in nature. This force keeps the quarks attracted to each other or the nucleus and increases as these quarks move further apart from each other. This accounts for the fact that it is almost impossible to detect a free quark. 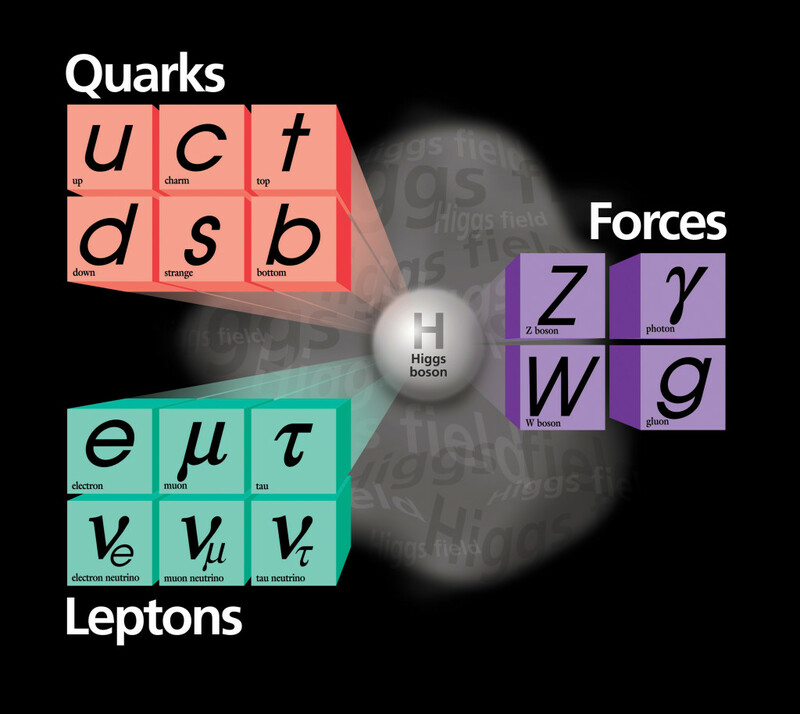 Of the four types of forces, quarks are under the strong force, the weak force (the force responsible for radioactive decay), the electromagnetic force (which is the reason atoms stick together) and the gravitational force (which normally acts on any object with energy or mass in the universe). Leptons, on the other hand, are under all of these last 3 forces but due to the absence of the strongest force between them, leptons can exist freely. Due to the fact that the strong force has a very short range whereas the remaining three forces can act over longer ranges, leptons are not under the strong force. allana. "Differences between Leptons and Quarks." DifferenceBetween.net. September 16, 2014 < http://www.differencebetween.net/science/differences-between-leptons-and-quarks/ >. You are wrong. Leptons do not include protons or neutrons. “scientists or physicists to be precise keep on discovering new phenomenon” In this instance, the last word should be phenomena, since it is clearly being used in the plural.